Let’s begin by writing a simple function to act as a request handler (nevermind what the request is for the moment). Don’t worry about the parameters to the function for now, since we are returning the HTML snippet unconditionally. The important bit is the return statement, which constructs a new luna::response object. This object actually has four components to it: An HTTP status code, a MIME type, a set of response headers, and a string that contains the response body itself. For now we only care about the response body. The status code defaults to the appropriate success code for the HTTP method (201 for POST, 200 for everything else). The MIME type defaults to "text/html". The headers are by default an empty set. So we need only provide the HTML itself. Now, let’s create a luna::router to route this request handler, and attach the request handler to the router. We want our server to run on port 8443, and our request handler to trigger on a GET to /hello_world. server.start(8443); //run forever, basically, or until the server decides to kill itself. The first line simply instantiates an router object, which contains the logic for deciding how to route an HTTP request. You can have as many of these as you need. The next line assigns our hello_word function to handle GET requests made to /hello_world. Following that, we have to instantiate a server, which handles incoming requests, and makes sure that responses go to the right place. We add our router to our server on the next line. The final line just instructs the server to bind to port 8443, and run forever. Of course, we could have generated this response dynamically, rather than specifying it with a string constant. Indeed, let’s modify our example to echo back the query parameters received. By default, Luna does not examine query parameters in any way. You can tell Luna that particular parameters are required or optional, and how to validate them. Any query parameter that fails validation will result in a 400 error. When setting up your response handlers, you can pass in a vector of validator objects to instruct Luna how to validate the parameters. Perhaps you do care what a valid name looks like. Suppose you will only accept names that contain alphanumeric characters, space, periods, commas, and hyphens—the usual sorts of things you might see in a western name (please consider that names might include other characters in your production app!). But you’d like to exclude semi-colons and other things that might leads to SQL injections. To do this, you can pass in the result of the parameter::validate() helper method. This handy method takes as a first parameter a function that takes a string (the query parameter to validate), and returns true if the parameter is valid, and false otherwise. Any subsequent parameters are passed on directly to the validation function when the endpoint is hit. Luna offers two other built-in validators: One that validates only exact matches called parameter::match (useful for verifying, e.g. verficiation tokens), and one that validates integer numbers called parameter::number. 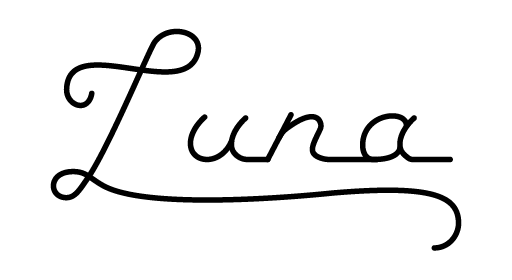 Future version of Luna may provide additional built-in validation functions. The response object contains the status code representing the success or failure of a request. By default, the status code is set to either 201 (for POST requests) or 200 (for all other requests). This is easily overridden to indicate other kinds of success, or a failure. If you want to return a custom response header, you can include that in the response object as well, inside of your response handler function.